Mix together equal parts baking soda and water to form a thick paste. Dab this paste liberally onto your silver-plated jewelry and let sit for an hour. 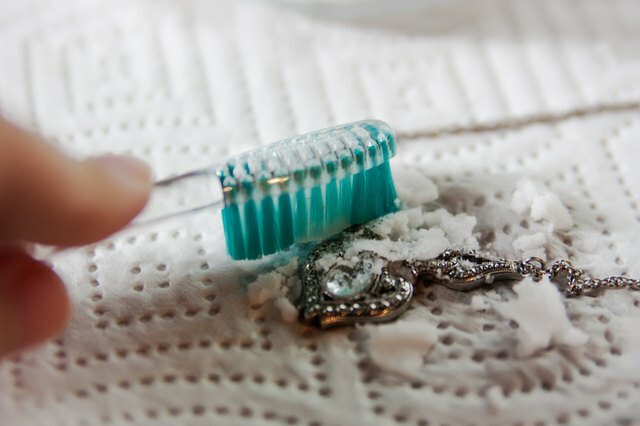 Scrub the jewelry gently, using an old toothbrush and the paste. Rinse the paste off completely, and let dry. 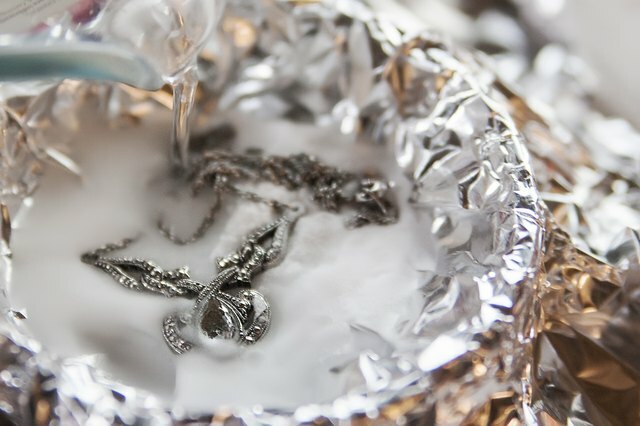 Place a sheet of aluminum foil in a shallow plastic or glass bowl. Sprinkle 2 tbsp. 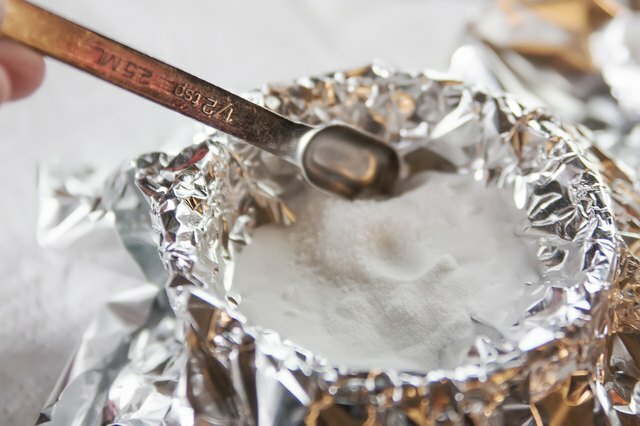 of baking soda and a 1/2 teaspoon of salt onto the foil. 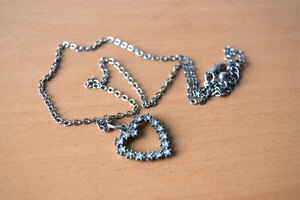 Put your silver-plated jewelry on top of the foil. 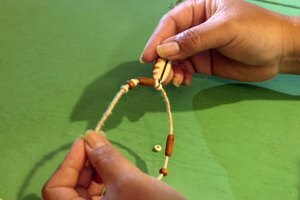 Pour hot water into the bowl, on top of the jewelry. Cover the bowl and wait 5 minutes. 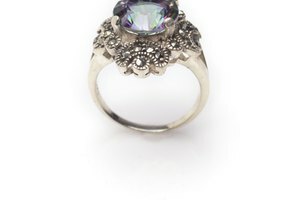 Remove the cover and take out your jewelry. 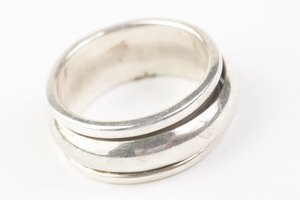 The foil, baking soda and salt (which must be dissolved by the hot water) creates a reaction that removes the tarnish from the silver. 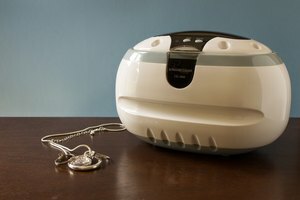 Do not use a metal bowl, which can interfere with the reaction between the foil and baking soda/salt.